The UF6 Value is TradeTech’s judgment of the price at which spot and near-term transactions for significant quantities of natural uranium hexafluoride (UF6) could be concluded as of the last day of the month. 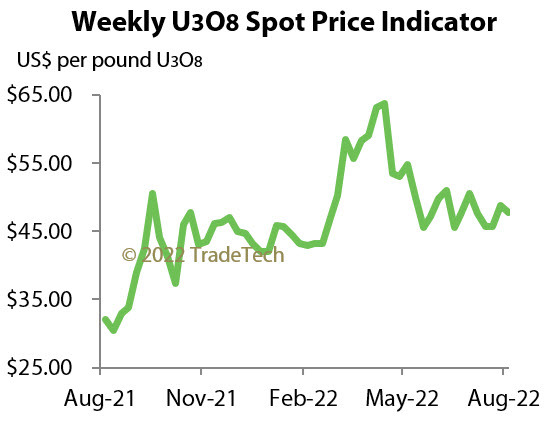 The UF6 Value is determined as of the last day of the month and expressed in US Dollars per pound U3O8. Prices are available to clients only. Clients need to login to retrieve a complete list of prices.